Here's another swap card I got at the Close To My Heart convention last week. 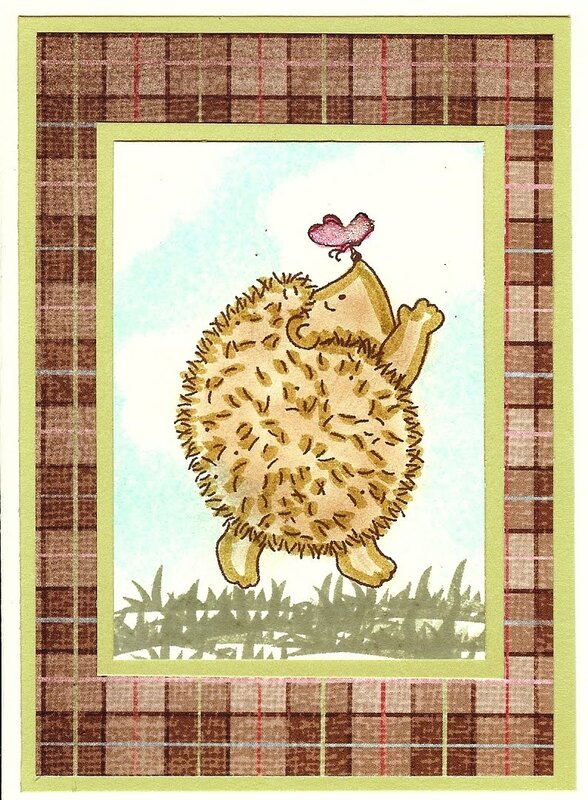 This one was created by Brenda Rutt. She took a regular envelope and sealed it. Then she cut the "top" off, about an inch and a half. (Don't throw it away!) She then ran the bottom part through a paper crimper. This makes the bottom just the tiniest bit narrower than the top, which allows the bottom to slide into the top easily. Ooh! Easy!!! Here's close up of the top. The clear button was "colored" by putting a round piece of colored card stock behind. Very clever! Inside the envelope is a tag which coordinates with the front. I'm not sure about the stamp set - but any small word sentiment will work great. I'm back from the Close To My Heart convention in Washington, DC. It was SOOOO fun, and I can't wait to share all the (currently) top secret goodies with you in the coming months! 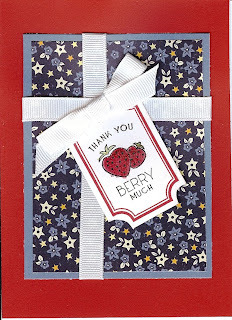 I got this card created by fellow consultant, Deb Okuley, in a swap this week. It shows you yet another way to use up your little scraps of paper! I love how I can just pull anything out of a paper pack and it coordinates. Makes creating faster, simpler and easier! Also, if you look closely, you can see Deb added Liquid Glass to her piece of card stock. Also, she used the Sponge Dauber with Smokey Plum ink to distress all the edges. They are subtle additions, but add a lot! Email, call or check out my website for more info! I'd love to see you. Hi there! So sorry I've been absent, I'm in Washington, DC at the Close To My Heart convention - seeing and using the new goodies and learning about the new programs! I'll be back late this weekend, so I'll be posting art (which is what you want) then. (I got about 80 swaps from other talented CTMH consultants.) "See" you soon! This is a card from the new Splendor Basic Kit. I LOVE these kits. 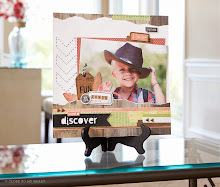 They have both great scrapbooking ideas and card making ideas. The kit includes a full paper pack, cute accessory (varies by kit), stamp set (not seen in the current Idea Book) and workshop guide (yeah, instructions!) 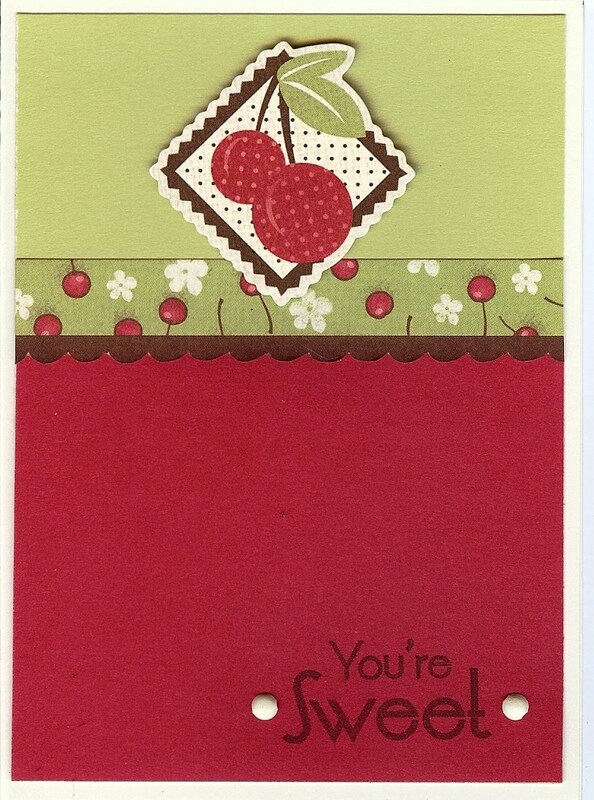 The instructions have cutting guide as well as the directions for card making and scrapbooking pages. Very fun and easy! 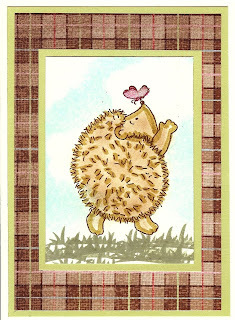 SUPPLIES USED: Splendor Basic Kit (G1009, $29.95), Goldrush Ink (Z2123 , $5.25), Topiary Ink (Z2155 , $5.25), Moonstruck Ink (Z2134 , $5.25), Splendor Brads (Z1317 , $4.95), White Gel Pen (Gelly Roll Brand). Click here to shop! You can also buy the Pizazz Irrisistibles separately. (Z1307 , $4.95).